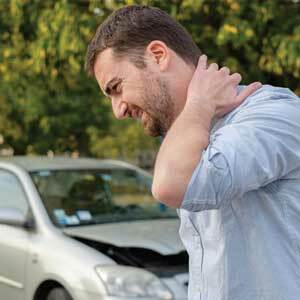 These are just a few types of damage that you might see after a personal injury accident. So, your top priority when this happens is seeking a chiropractor who is skilled in treating your symptoms and can help you increase mobility and healing. After talking to a personal injury lawyer Washington, D.C., residents recommend, you should speak with a medical professional. When you get care from a chiropractor after an accident, you can expect them to help in three ways. They can document your treatment to help with your settlement. They can work with insurance companies. And, they can help your body heal naturally. When you are attempting to settle a personal injury claim, getting medical documentation from your chiropractor can be the difference between winning and losing a case. Simply seeking out and receiving medical care will not win your case. A chiropractor will treat your injuries and document your process to show why you needed medical help and how you are recovering. They can help provide an insurance company or court with your medical charts that show how severe your injuries were and the resulting symptoms, the treatment that they provided you with, and the billing and cost breakdowns of all of your treatments. Working With Insurance Companies. Many victims of a personal injury will not know the logistics of dealing with insurance companies. However, chiropractors who have experience with personal injuries in their clients can help work with and negotiate with insurance companies, ensuring that the treatment of the patient is of the utmost importance. Many people choose not to go see conventional doctors. Because they do not wish to undergo surgery or be treated with intense drugs. A chiropractor can give you the care and treatment that encourages your body to heal naturally and teach you exercises or treatments that you can take home to work on as well. Once you have been involved in a personal injury accident, the best thing you can do is seek medical treatment from a chiropractor as soon as possible. Never wait to get treatment because you do not know the extent of your injuries. In addition to physical treatment, a chiropractor can also help compile evidence for insurance companies when proving your injuries. Thanks to our friends and contributors from Cohen & Cohen, P.C., for their insight into personal injury accidents and treatments.